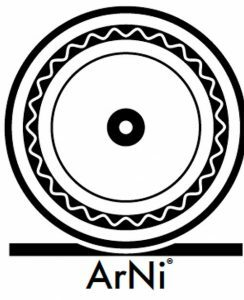 ‌‌ArNi® is a type of wire created by Shunyata Research designed to be the finest quality wire available for audio purposes. It begins with the highest purity of copper available – OFE C10100 or Ohno (single crystal). Then it is formed in virtual hollow tubes eliminating skin effects and eddy current distortions. In addition, the wire undergoes our proprietary KPIP™ process. 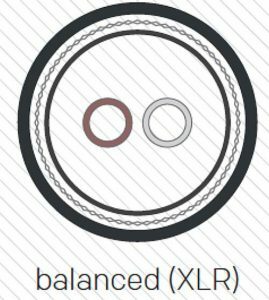 Many manufacturers use the same cable for both RCA and XLR cables. Single-Ended and Balanced signal transmission is fundamentally different and each requires a different cable design for optimal signal transmission and minimal RFI/EMI interference. All Shunyata Research cables are specifically designed for each type of signal interface. A coaxial design is best for single-ended connections while a shielded twisted pair design is best for balanced connections. Shunyata Research operates its own on-site ‌Cryogenics International Computer Controlled Cryogenic plant. Liquid nitrogen is used to reduce the temperature of the contents to -320 degrees Fahrenheit. The computer monitors and lowers the temperature by a single degree at a time to prevent thermal shock. We use this process to improve the performance of wire, conductors, connectors and terminals that are used in our power products and signal cabling. ‌‌CCI™ filters have the unique ability to reduce component-generated power line noise without inhibiting DTCD® (dynamic transient current delivery). This unique filter element prevents power line noise from one component contaminating the other adjacent electronic components. 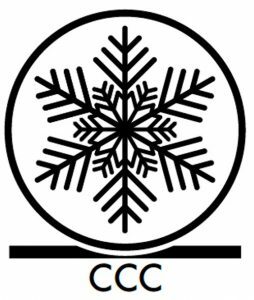 Shunyata Research’s ‌‌CCI™ filter modules consist of proprietary multi-stage filters that reduce power supply-generated noise without the use of heavy transformers, coils or large capacitors. The ‌CGS (‌‌Chassis Grounding System) is an internal ground-buss that uses patented NIC™ technology to reduce ground plane noise. 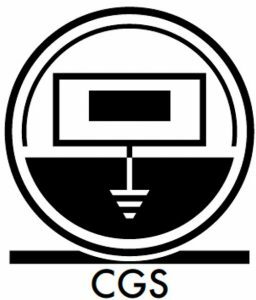 ‌‌CGS provides a common grounding point and extends the noise reduction capability of the power conditioner’s internal NICs to other electronic components. ‌‌CGS helps to minimize inter-component voltage differences between component chassis and may reduce the hum associated with ground loops. Many audiophile grade connectors are made from brass or bronze. While some may get a plating of silver, gold or rhodium, the majority of the current is carried by the contact’s base-metal. 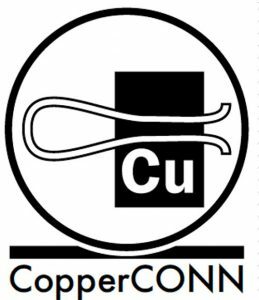 ‌CopperCONN® connectors contain pure copper contacts which has a much higher conductivity that brass. The difference in performance is clearly audible. 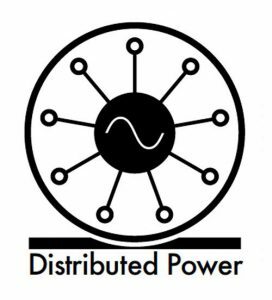 ‌Distributed Power Conditioning is a solution developed by Shunyata Research to solve the problems associated with power line noise in large, complex entertainment systems. Entertainment and pro-audio systems may include multiple electronic components that may be located in multiple locations making it impossible to use a single-box power conditioner solution. Shunyata Research solves this problem by intercepting noise at several power line entry and exit points in the entertainment system. 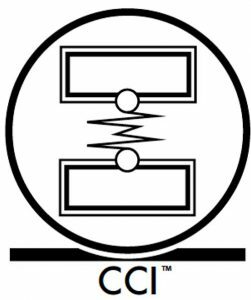 System-wide CCI™ interference can be significantly improved by using a combination of noise reduction products including; power conditioners, NR power cords and small outlet filters. ‌DTCD® Analysis is a proprietary measurement technique developed to measure instantaneous current flow through very low impedance electrical conductors and contacts. It is used to optimize the design of electrical parts and materials, ensuring optimal instantaneous current delivery. ‌‌DTCD® Analysis gives Shunyata Research a clear competitive advantage in the design and development of high performance power delivery products. For more info read our technology guide. 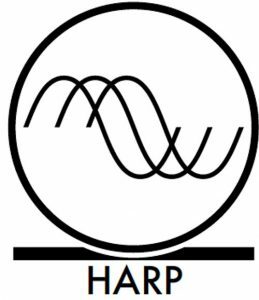 ‌HARP was discovered through Gabriel’s research into ‘current drift’ and audio frequency current resonances that occur in speaker cables. 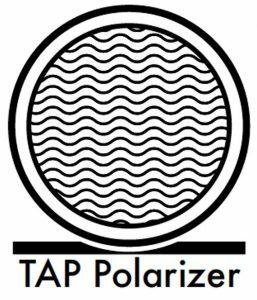 Theoretically, a speaker cable may develop current resonances in the audio band, being roughly analogous to standing waves (modals) in room acoustics. The ‌‌HARP module acts as a current mode diffraction device that breaks up these resonances, improving the perceived resolution and coherency of the system. 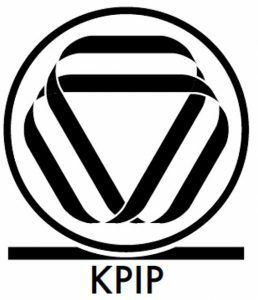 ‌‌KPIP™ (‌‌Kinetic Phase Inversion Process) was developed by Caelin Gabriel after years of research into the underlying causes of various effects such as burn-in, wire directionality and the effects of cryogentic treatment. He discovered that there was an underlying core principle that burn-in and cryogenics only “partially” addressed. Once the governing principle was understood it became possible to create a processing technique and machine that could virtually eliminate the need for burn-in and cryogenic treatment. Shunyata Research uses only the highest purity of copper available for the production of its wire products. ‌‌OFE Alloy 101 or ‌‌C10100 is the highest grade of copper with a minimum 99.99% purity and a conductivity rating of 101% IACS. 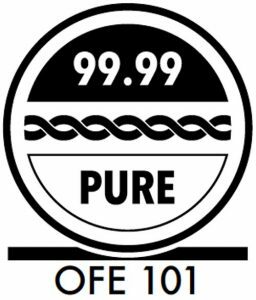 OFE stands for oxygen-free electrolytic and supersedes the term OFHC (oxygen-free high conductivity). ‌‌C10100 is the only grade of copper that comes with a written certification of purity. Certified by ASTM F68 ‌‌C10100. ‌Ohno wire, also called ‌PCOCC was invented in 1986 by professor Atsumi ‌Ohno of the Chiba Institute of Technology in Japan. Copper wire is created by an extrusion process that pulls a rod of cold copper through a small orifice which creates multiple crystalline boundaries. By contrast, ‌‌Ohno wire is made by a process using heated molds that cast a wire to form a single crystalline structure. 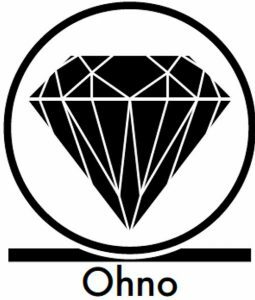 ‌‌Ohno wire is well known for its exceptionally pure, grain-free sonic qualities. 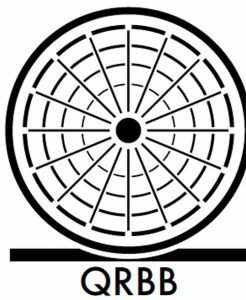 The ‌‌QR/BB™ is a patented device which dramatically enhances the perception of dynamic impact and timing when connected to amplifiers or other high-current electronics. The ‌‌QR/BB™ is unique in that it provides a local reserve of energy, or Coulomb charge, that mitigates the inductive reactance of the AC power line without using coils, transformers or capacitors. The ‌‌QR/BB™ acts as an instantaneous energy reserve when placed in-line with an AC power supply. Many manufacturers use the same cable for both RCA and XLR cables. 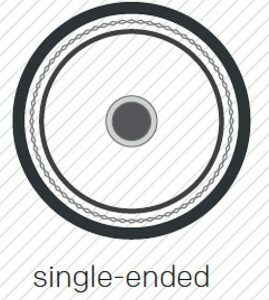 ‌Single-Ended and Balanced signal transmission is fundamentally different and each requires a different cable design for optimal signal transmission and minimal RFI/EMI interference. All Shunyata Research cables are specifically designed for each type of signal interface. A coaxial design is best for ‌single-ended connections while a shielded twisted pair design is best for balanced connections. Crimping, soldering, brazing and cold soldering are all inferior methods of joining two wires or terminals together. 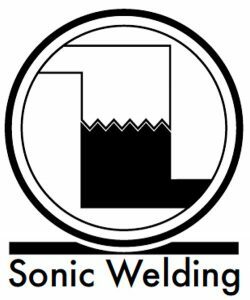 ‌‌Sonic welding uses high energy sonic waves to literally join two metals together at a molecular level. There is no solder or intermediary metals involved in the process. The ‌STIS™ speaker terminal system was designed to eliminate the high cost and complication of speaker cable termination. The system makes it possible to use the same speaker cable with a variety of different amps and speakers. If a spade is damaged, you can simply replace it without sending it to the factory for re-termination. 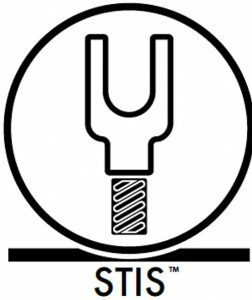 ‌‌STIS™ interchangeable terminals have undergone extensive user listening tests to insure that they provide the finest audio performance that is equal or superior to non-replaceable, soldered terminals. 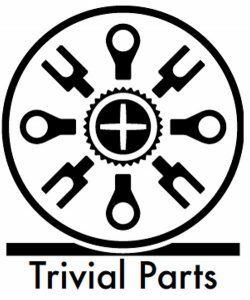 Ring terminals, spades, bolts and washers that are used to connect internal wiring, terminals and switches are good examples of parts that are considered “‌‌Trivial Parts” by some engineers. Shunyata Research actually designs and makes a wide variety of these small parts using pure copper instead of tinned brass. Such a level of attention to even the smallest details is what distinguishes every Shunyata Research product. 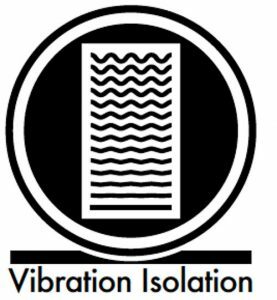 After years of research into the negative effects of vibration, Shunyata Research developed its own ‌vibration isolation using sub-miniature accelerometers that accurately measures the effects of floor and airborne sound waves. 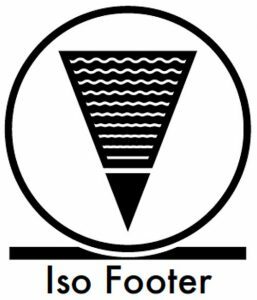 We use it in the development of vibration absorbing materials such as energy absorbing footers, AC outlet gaskets and chassis dampeners that reduce resonant vibration. 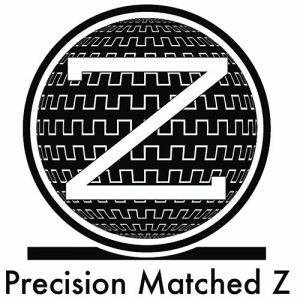 Recognizing that vibration control is important to overall performance, our chassis are made with optimally dampened steel and aluminum, rather than plastic or thin-wall sheet metals. 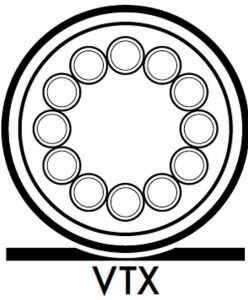 Shunyata Research's exclusive ‌VTX™ conductors are made in the shape of virtual tubes. The core of the conductor is completely hollow minimizing skin effects and random eddy currents. They are produced using OFE Alloy-101. 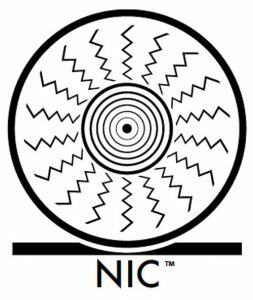 The ‌ZrCa-2000 is a proprietary compound, used in NICs, that absorbs and dissipates high-frequency noise when used in power conditioners or power supplies. 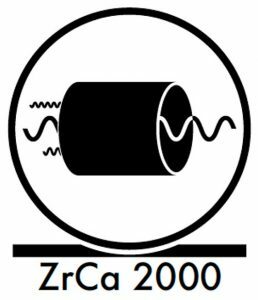 The ‌ZrCa-2000 materials are ferroelectric, crystalline materials that act on the electric field similar to the manner in which ferrite (ferrous metals) acts on the magnetic field. Both absorb high frequency noise; however, the ‌ZrCa-2000™ compounds do so without the negative sonic side effects commonly associated with the use of ferrite in an audio system. 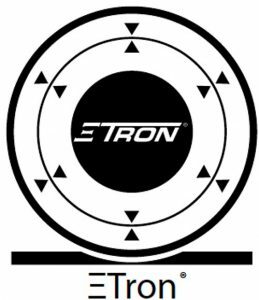 ‌ΞTRON® is a technology developed by Shunyata Research that prevents dielectric absorption and re-radiation in signal transmission. It requires a special type of conductor that has two signal paths and an electric field compensation circuit that creates a cancellation signal that prevents the insulation from developing a charge. ‌ΞTRON® cables preserve the integrity of the source signal even when using very long runs of cable. Patent US 8,912,436, Patent Ch ZL201180047344.2.